From policy reports and academic studies, to computer games and television mini-series, Central Asia is routinely portrayed as overwhelmingly dangerous. Does it matter that serious analyses dovetail with fictional accounts? John Heathershaw and Nick Megoran argue that it does, because it indicates a common Western geopolitical vision of Central Asia that distorts policy towards the region. Question: What do a recently-released International Crisis Group report (‘Tajikistan: the changing insurgent threats’) and the latest Red River computer game (‘Operation Flashpoint’) have in common? 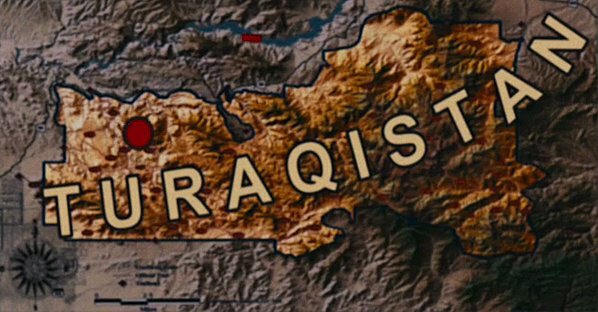 Answer: They both feature Islamist insurgents infiltrating Tajikistan and posing a threat to Western security. In fact such portrayals of Central Asia are commonplace in the West, from popular culture to the quasi-academic work of policy analysts. In research conducted since the 1990s, we have charted how UK and US representations of Central Asia routinely present it as especially dangerous, fusing the traditional insecurities of the Orient to dysfunctional post-Soviet authoritarianism. This has elicited a small debate on the margins of Central Asian studies about the significance of the discourse of danger. In response, we wrote a paper on the subject that was presented at Chatham House and recently published in the journal International Affairs (‘Contesting danger: a new agenda for policy and scholarship on Central Asia’), outlining three features of the Western discourse of danger on Central Asia. By ‘Western discourse of danger on Central Asia’ we mean how Western policy, popular and even academic accounts identify Central Asia as obscure, ethnically and politically fractious, essentially Oriental and - for these reasons - dangerous. Typically, Central Asia is spuriously identified as a source of a considerable Islamic terrorist threat as in the recent International Crisis Group report on Tajikistan. It can also mean that ethnic conflict is misread and great power conflict is assumed where in fact it may not exist. Why does the overlap between popular culture and policy analysis matter? The link we make between computer games and policy reports may seem trite. Surely these are incommensurable genres of discourse for quite diverse audiences and with wholly different intentions? Surely one is primarily for the entertainment of adolescent males, and the other seeks serious understanding in order to change policy? We should not be too quick to dismiss the effect of popular culture on policy making. Many of the Western military misadventures which have been undertaken since the end of the Cold War may have been made more likely by the feeling of interconnectedness generated by new technologies and cultural forms such as the internet. The portrayal of the military and intelligence services in the era of the ‘war on terror’ are often critical, but most ascribe to governments an ability to get things done which far exceeds what is practically possible in a globalised world. There are three reasons why popular culture matters in policymaking, and which justify the making of links between forms of representations from quite different genres. Firstly, there is the basic point that in Western democracies government are more or less responsive to public opinion. If citizens feel Afghanistan is an essentially dangerous place then they are more likely to accept the problematic argument of their governments that threats to the West will continue to come from that country unless we offer military support to a government we have placed in power. On the other hand, public interest in Central Asia is so limited that few votes are cast and few letters are sent to MPs on the basis of concern about the region. Public opinion only indirectly affects foreign policy and we should not overstate the link between the two. In many respects it is the effect of popular culture on those that do research and make decisions, in governments and non-governmental organisations, that is most significant. 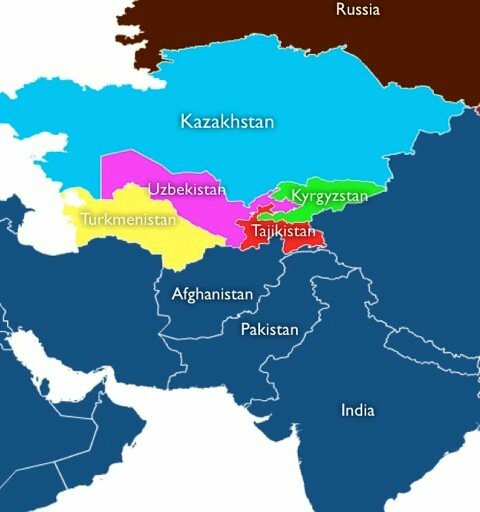 "Typically, Central Asia is spuriously identified as a source of a considerable Islamic terrorist threat as in the recent International Crisis Group report on Tajikistan. It can also mean that ethnic conflict is misread and great power conflict is assumed where in fact it may not exist." Secondly, the dearth of knowledge on the region amongst so-called experts means that popular culture and quasi-academic studies have greater significance. Misguided applications of the ‘great game’ or the idea of Muslim radicalisation are frequently left unchallenged. Moreover, even powerful Western governments have relatively few people with knowledge of the region and its languages. Area studies has been in decline for decades and nowhere is the phenomenon more acute than Central Asia where there was very little knowledge of the region even during the Cold War when funding was poured into the development of Sovietology. Finally, and most importantly, knowledge is produced interpretatively. This means that where ideas about the region emerge that associate it with conflict, Islamism and great power conflict they are often difficult to shift even when academic knowledge seems to refute these claims. In the paper in International Affairs we discuss the historical emergence of this discourse of danger through the so-called ‘great game’ period, the cold war, the decline of the Soviet Union and the war on terror. We then survey cultural forms, academic security and conflict resolution analyses and policy texts that have emerged in the US and UK in the last decade to identify the features of the contemporary discourse of danger about Central Asia. Whilst there are divergences between these sources we found three features that they have in common. Firstly, Central Asia is identified as obscure. In the popular American TV series The West Wing, for example, Central Asia appears several times over the course of its 1999-2006 run. Each time it provides a plotline of conflict, such as a war in Kazakhstan between China and Russia over oil, and/or idiosyncratic behaviour. The government of Turkmenistan is portrayed as a comical trouble-causer whilst the most knowledgeable of presidential aides confuses Kazakhstan for Kyrgyzstan. At no point – unlike with respect to this intelligent programme’s portrayal of other regions – do Central Asian characters actually appear on screen. In these storylines it is the distance and obscurity of Central Asia that means it is a source of danger, which appears in caricatured form. Secondly, Central Asia is denoted as Oriental. For example, Washingtonian security analysis of Central Asia repeats many of the themes seen in the West Wing. Central Asia is the lost heartland of the Asian content that is orientalised in much of this analysis. It is seen as a great power battleground and a source of ethnic, religious and political turbulence. Analysts worry about the ‘Afghanisation’ of Central Asia and repeatedly ponder the power of Islamist groups whose existence may not extend much beyond their website and have no proven record of violence. Often, complex and localised political violence such as that in southern Kyrgyzstan in 2010 [see: The background to Osh] and Tajikistan’s Kamarob gorge in 2010-11 [see: Conflict in Tajikistan] is denoted as ethnic or Islamic and assumed that it will spread widely in the region. Since the late-1990s this orientalisation of Central Asia has been reflected in the re-organisation of the US State and Defense departments. For example, since 2005 the former Soviet states have been moved from ‘Russia and Eurasia’ to the ‘South and Central Asia’ bureau where they are compared with Afghanistan, rather than being compared with Belarus. Thirdly, Central Asia is represented as fractious. For example, British Television documentaries identify Central Asia as a source of violent political conflict despite the fact that it is the relative absence of conflict in a region where poverty and inequality have increased massively that is of real significance. 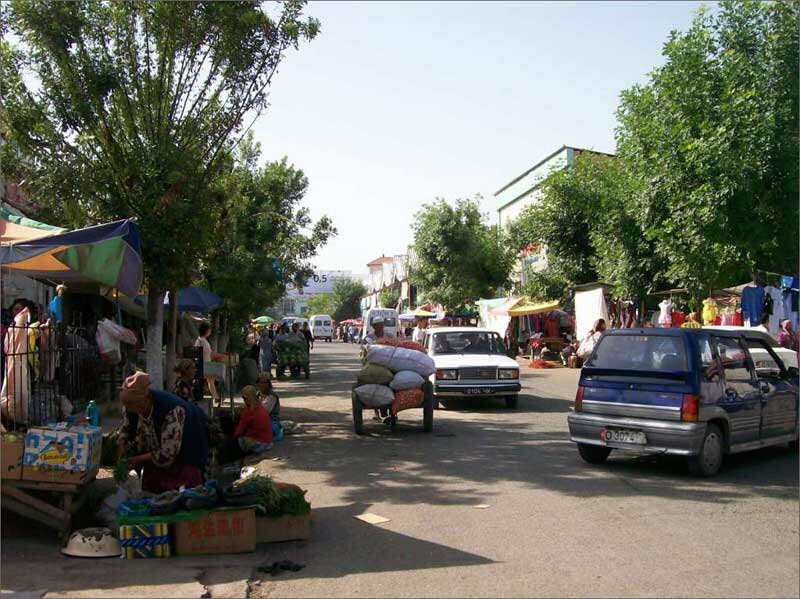 In 2002-3 the BBC ran a series of travel documentary documentaries about the region entitled ‘Holidays in the Danger Zone.’ Likewise, Channel 4 television’s 2002 ‘Unseen wars of the 21st Century’ identified the Ferghana Valley and Osh in particular as sites of future conflict due to the region’s ethnic diversity and complicated national boundaries. It is undeniable that there has been conflict in the region, but it is deterministic to interpret this as being the result of ethnic diversity and ‘unnatural’ borders. It is important to get beyond this simplistic and distortive discourse on the region not least because Central Asia does have its own dangers and insecurities. The lives of most Central Asians have become more precarious since the end of the Soviet Union and their human security has been threatened. The Tajik civil war cost upwards of 50,000 lives but is still barely understood and often spuriously identified as being about Islamic radicalism or ethnicity even in policy analyses. To counter this discourse of danger we need better analysis of the region, and analysis which begins to impact the Western public discourse on the region. This is the responsibility of both governments and academics. On the one hand, governments must be prepared to fund more research and encourage studies which challenge their received wisdoms on the region, even if this is politically inconvenient. On the other hand, academics must be prepared to make their studies intelligible to none specialists. Few academics – including ourselves – are good at this. Firstly, what are the common interests and areas of cooperation of Russia, China and the United States in Central Asia? There have been both US and Russian bases in Kyrgyzstan for the best part of a decade. This needs explaining not simply being dismissed as an anomaly. Secondly, how many of the infrequent ‘terrorist’ incidences seen in Central Asia are linked to conflicts amongst organised criminal groups? There is evidence to show that organised crime is an increasing problem in Central Asia and that it is very well linked with the region’s largely secular governments. Thirdly, to what extent are tensions between governments and societal groups managed by localised coping strategies and forms of negotiation or ‘grey space’? 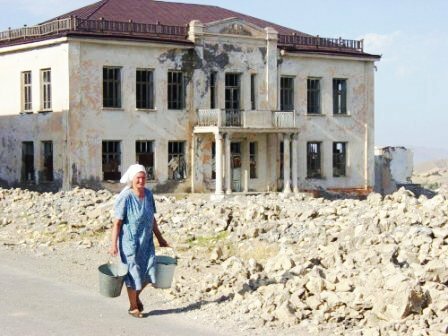 Analyses of conflict rarely explain the dog that didn’t bark yet outbreaks of violence such as that in Osh must be understood as exceptions. "It is important to get beyond this simplistic and distortive discourse on the region not least because Central Asia does have its own dangers and insecurities. The lives of most Central Asians have become more precarious since the end of the Soviet Union and their human security has been threatened." Finally, to what extent does the establishment of market economies in Central Asia enable the rise of kleptocratic governments, strengthen organised crime and worsen human security? This may be an inconvenient question to ask for Western governments and donors who continue to fund market reform and liberalisation in the region. Nonetheless an increasing amount of academic research shows this to be the case. These are difficult questions about security in Central Asia. To begin to answer them, we must abandon our easy resort to caricatures and break our addiction to the discourse of danger. Once we have mitigated the dangers that we, as Central Asian scholars, pose to the region, we may be better placed to contribute towards mitigating the numerous other dangers that its people face.